We were pleased with our rental experience. There was an infestation of tiny ants in the kitchen around the Micro Wave. Manager Response: Glad you enjoyed your stay with us, please do come again. This was one of the best condos that we have stayed at. Clean, orderly and well decorated. Nice visit in a beautiful area. The pool was great and we even used the tennis court. We were also in this unit one year ago. 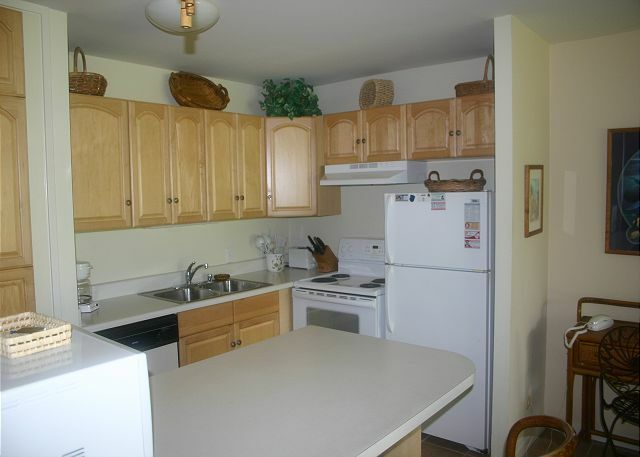 We love the spaciousness as well as the reliable breezes (so no a/c required). However we noticed quite a few more "significant" insects this year compared to last year. Am assuming this year it had been longer since the latest fumigation. We still enjoyed our vacation but would consider taking our chances with a different unit next time. The Condo was comfortable, however there were several issues that were a concern. Tiny ants on the kitchen counter tops and bathroom floor. Two cockroaches running about. I drowned one inthe bathroom toilet. Finding one roach with the pots and pans is disconcerting. Also, the screen door latch would catch and it would take about two minutes to unlock the front door due to the tumblers being corroded or worn out. The hide away bed bed mattress was worn out and needs to be replaced. I reversed my body position with my head where my feet were supposed to be so my head wouldn't be in a down hill position. Otherwise other aspects of the condo were satisfactory. I would recommend the property if the above issues were addressed. The mgt. company was great,timely response for any requests. Location was excellent, right on golf course. Very clean. 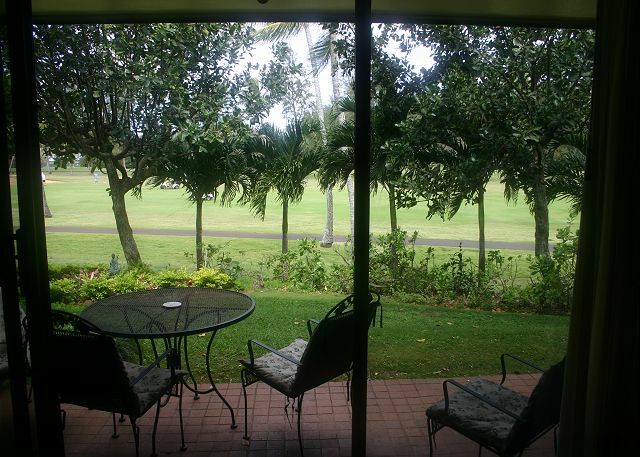 Great location, ac might be a good addition to the front room for those days without trade winds, clean, comfortable, convenient as I work in Kapolei. Kitchen clean and well stocked with necessary utensils. Great to have washer and dryer. Close to nice beach area. BBQ needs repair.